This number automatically connects callers to their local poison control center based on area code and origination phone number, and it is available for free 24 hours a day, seven days a week. While it is best to call the 800 number when you need assistance, you can also locate and call the poison control center closest to you by going to the American Association of Poison Control Centers (AAPCC) website and using the convenient local center locator tool. It is a wise idea for parents to keep both the national and local poison control numbers available in case there are connection problems or technical issues that prevent an emergency call from being properly received. 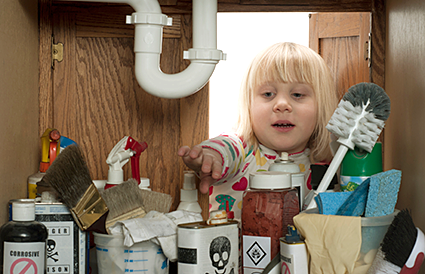 Nationwide, more than one million calls are made to poison control centers each year, and more than half of those calls concern children under the age of five. By properly using the phone number and knowing when a call is necessary, accidental poisonings need not have tragic results. Determine if emergency services are needed, and call paramedics or 911 if necessary first. Remove excess poison or chemicals by flushing skin and eyes with cool water, moving a victim to an area with fresh air, wiping out the mouth, or removing contaminated clothing. Find the chemical bottle for reference. The condition of the victim - groggy, hyperactive, nauseous, etc. How the victim was exposed - ingestion, vapors, skin contact, etc. Remain calm and provide the specialist with as much information as possible, including a callback number in case the call is disconnected. The poison control phone number - 1-800-222-1222 - is a toll-free, emergency number to use in case of accidental poisonings. Keep the number near all phones. By knowing how to use the toll-free number and how to react in case of accidental poisonings, you can avoid serious injuries.